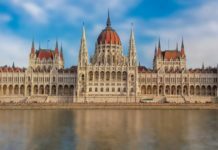 You are about to visit Budapest in 2 days and want to optimize your time? 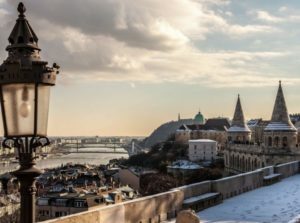 Experience the best of the Hungarian capital when you spend a week-end in Budapest for the first time, following our suggestion of a two-day itinerary to Budapest. 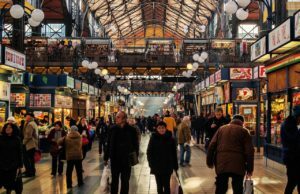 This is accompanied by some tips and activities that will allow you to see the essence of this rich city. 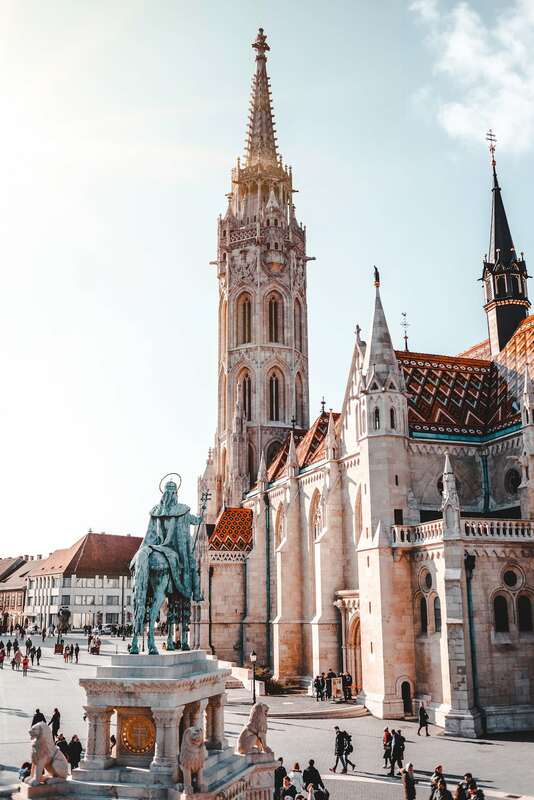 Discover the main tourist attractions: Buda Castle, St. Matthias Church, Fishermen’s Bastion, Chain Bridge, St. Stephen’s Basilica, Hungarian Parliament, Grand Market Hall, Széchenyi Thermal Baths and much more to see and do! 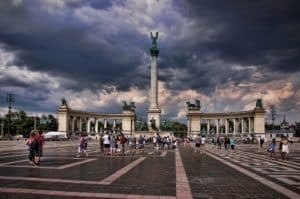 To find out more about the monuments mentioned in our itinerary, see our article with this link on the must-see sights of Budapest. Unfortunately, you will only have one desire—to come back as soon as possible! 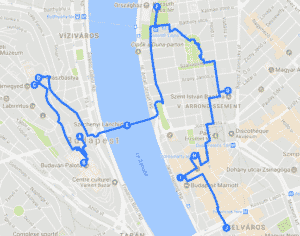 Full path: 7 km – Buda Castle, St. Matthias Church, Fishermen’s Bastion, Chain Bridge, Parliament, St. Stephen’s Basilica, Vörösmarty Square, Váci Street, Great Market Hall. 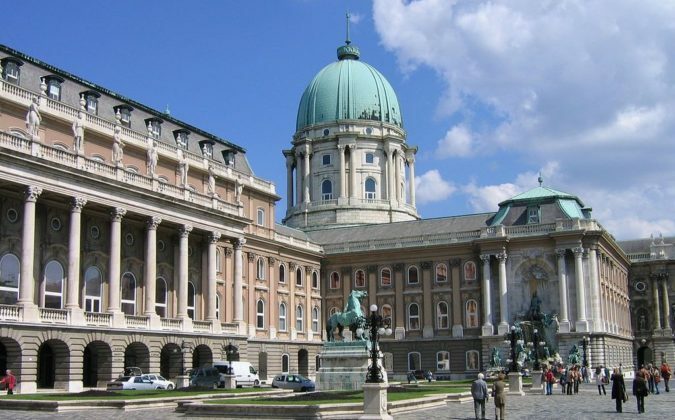 After admiring the beautiful view of Pest in front of the castle, take the opportunity to visit the works housed in the Hungarian National Gallery with the greatest Hungarian painters in the main building. 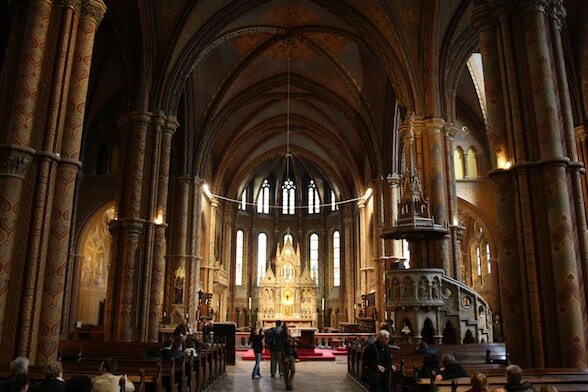 Cross the old town in 10 minutes and visit the beautiful Matthias Church. Adult entry 1500 Ft (≈5 €). Open hours: Monday-Friday: 09:00 to 17:00, Saturday: 9:00 to 12:00, Sunday: 13:00 to 17:00. 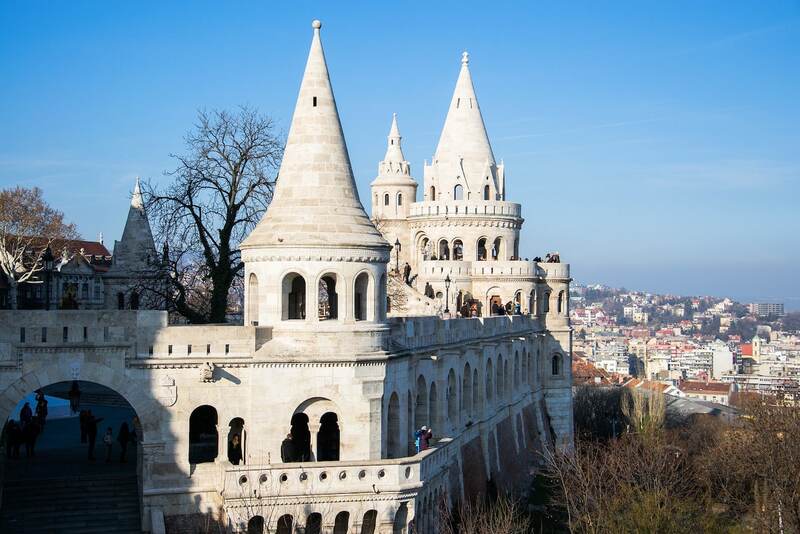 The Fisherman’s Bastion is located 50m in front of Matthias Church. The entrance fee for the upper part is available on this link (free from October 15th to March 10th, free between 8:00 pm and 9:00 am all year round, otherwise adult ticket ≈2,6 €). If you would like to have lunch, we recommend Jamie Oliver’s Italian restaurant (Szentháromság u .9) or Café Miró (Úri u.30). Feel free to enter this hotel to admire the beautiful Art Deco interior and then proceed to the Parliament located a 10-minute walk away. 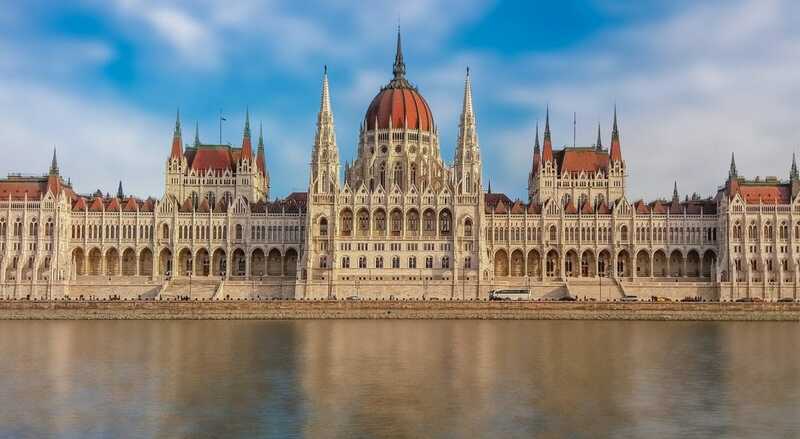 For complete information (open hours, guided tour …) and tips on the Parliament, see our article, ‘How to visit the Parliament of Budapest’. If you would like to have lunch, we recommend Elysée Bistro or Café Smúz on Kossuth Square. 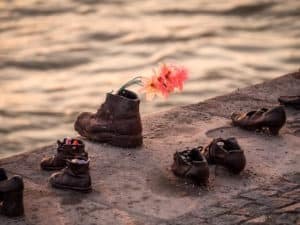 Do not miss: on the left of the Parliament (facing the Danube), go down to the edge of the river for 200m to reach the poignant memorial, ‘Shoes on the banks of the Danube’, dedicated to the victims of the Shoah in Budapest. About forty meters of metal shoes represent the thousands of Jews who were shot before removing their shoes. 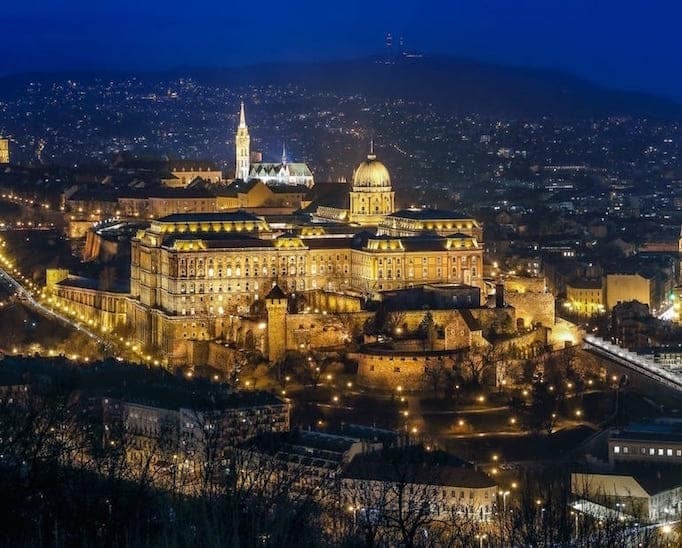 The visit to St. Stephen’s Basilica is a must in Budapest and if you have the courage, do not hesitate to climb the 370 steps (or take the elevator) for a panoramic view of the Budapest skyline. 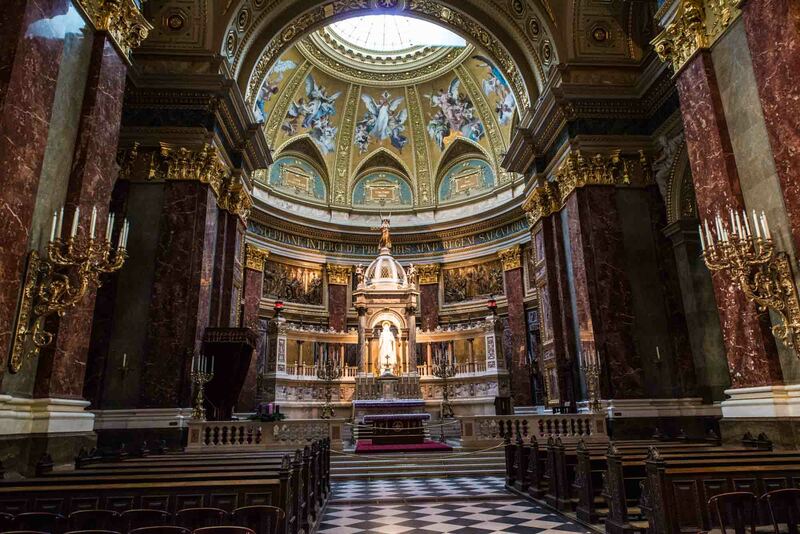 The St. Stephen basilica also hosts weekly concerts! Visiting hours: 09:00 to 17:00 from Monday to Friday, Saturday: 09:00 to 13:00 and Sunday from 13:00 to 17:00. 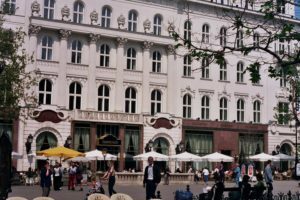 On Vörösmarty Square in the pedestrian center, have a coffee and try a Hungarian pastry at the famous Café Gerbeaud. Turn right onto Vörösmarty Square towards the river on Vigadó Street or Deák Ferenc Street (on the corner of the ‘Hard Rock Café’) to reach the Danube bank on Vigadó Square and admire the beautiful panorama of Buda with its Castle and the Matthias Church. 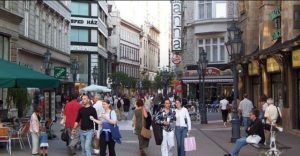 Return to Váci pedestrian street where you can go shopping. Nearby on the Március 15 square, you can have an aperitif or dinner at the Kiosk restaurant to finish your first day of our ‘Visit Budapest in 2 days’ itinerary. 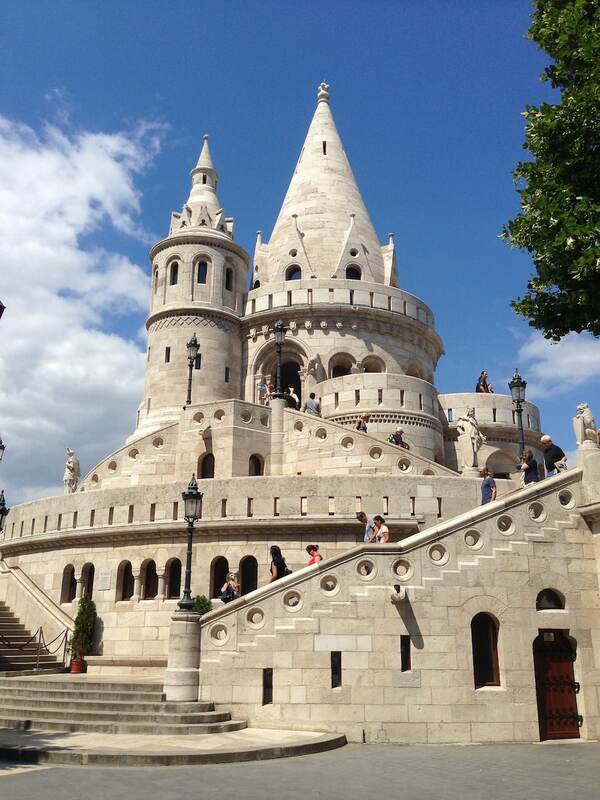 You can also discover Budapest from another angle can be experienced on a cruise on the Danube! 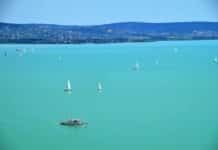 (45mn-1h): Information on this link: cruises to Budapest on the Danube. 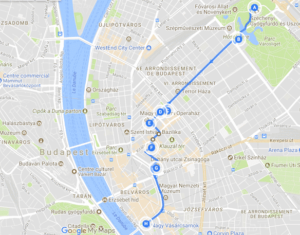 Full path: 5 Km – Széchenyi Bath, Vajdahunyad Castle, Heroes Square, Andrássy Street, Opera House, Goszdu District, Great Synagogue, Grand Covered Market. Start the day with the discovery of the Széchenyi Baths, an iconic must-see of Budapest. 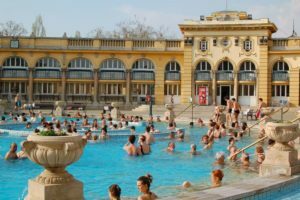 Detailed information about these thermal baths on this link. After experiencing the baths, cross the City Wood (‘Városliget’) to reach the Heroes’ Square on a few minutes’ walk. To reach this imposing Heroes Square ‘framed’ by the Museum of Fine Arts and the Hall of Art ’Mücsarnok’, take the line M1 from Hösők Tér station to Vörösmarty Tér and get off at Oktogon station. Visit Liszt Férenc Square and its many patios for lunch. 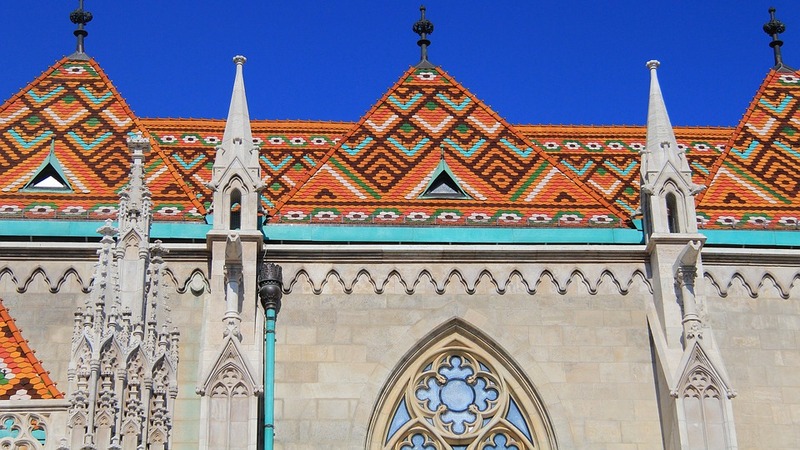 We recommend the restaurant Menza (Liszt Ferenc tér 2) to discover Hungarian cuisine in an iconic place of Budapest frequented by locals and tourists. After lunch, take Andrássy Avenue and enter number 39 on the 1st floor, then enjoy an espresso in the sumptuous Café PÁRISI ( previously named Café Lotz). You can also go right next door to number 39 on Andrassy Avenue and discover the spectacular roof of the 360 ​​Bar that offers a panoramic view of Pest! Continue on Andrássy Avenue to the Opera at number 22 which, despite its closure in 2018 for renovation, still provides guided tours (about 30 minutes with a ‘mini concert’) during the day at 14:00, 15:00 and 16:00. Information about these visits is on this link. Cross the GOZDU COURT, one of Budapest’s night spots, with its many restaurants and cafes. If you want to eat, we recommend the Bistro Spiler. You are then a few minutes walk from the Synagogue. 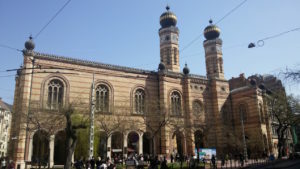 Visit the largest Synagogue in Europe which offers guided tours throughout the day. Visiting hours: from the beginning of March to the beginning of November the synagogue is open from 10am to 6pm from Monday to Thursday, and from 10am to 4pm on Fridays. You are now in the Jewish Quarter and if you have 20 minutes, why not discover a ruin bar after a 5 minutes’ walk? Indeed, the most famous, called Szimpla Kert, is also visited during the day and worth the detour. 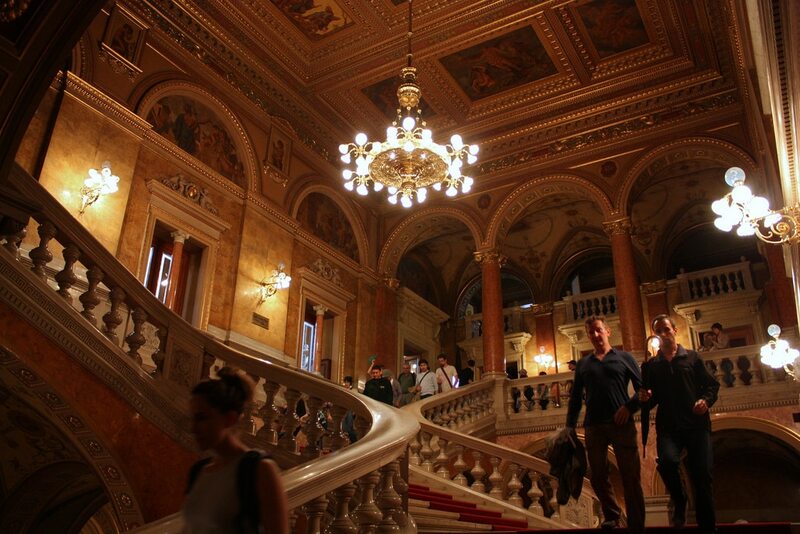 Inside you will discover in an abandoned building on several floors an iconic spot for the night life of Budapest! Finish your day with a visit to the Great Market Hall, a UNESCO World Heritage Site. You can discover the culinary specialties of Hungary and also its crafts on the 1st floor. 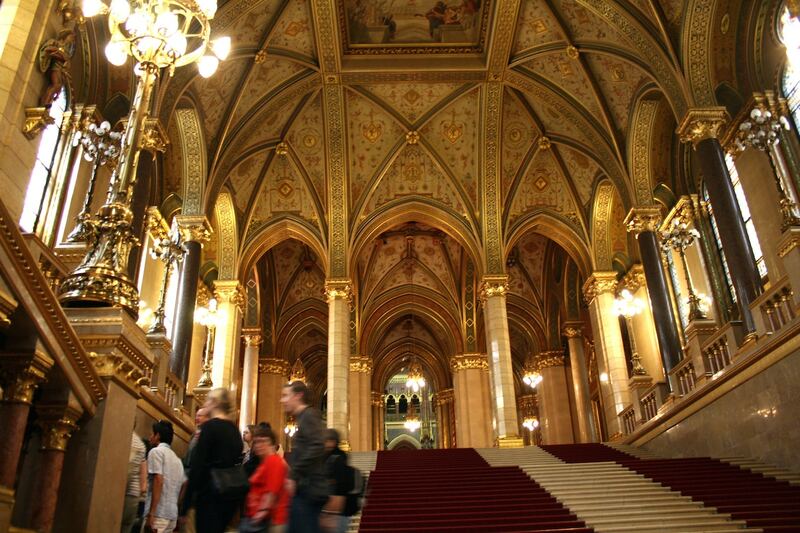 This is one of the favorite must-sees of our program, ‘Visit Budapest in 2 days’! Address: Vámház krt. 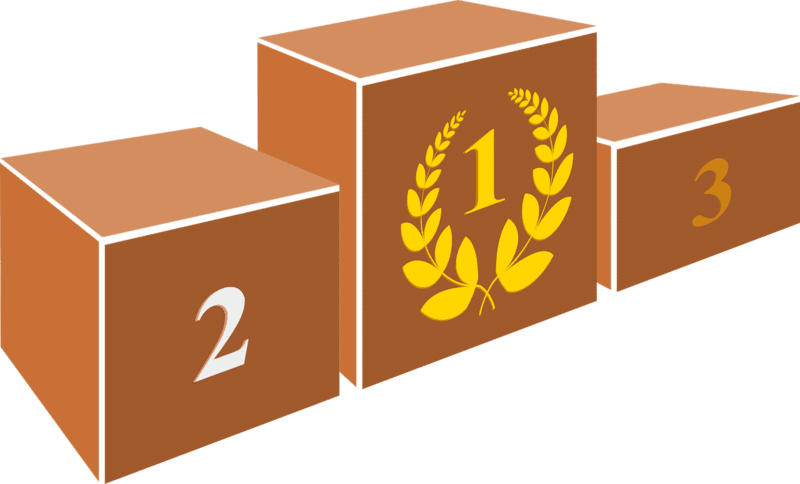 1-3, IXth arrondissement, Pest – map – website. Opening hours: Monday from 06:00 to 17:00, Tuesday to Friday: 06:00 to 18:00, Saturday: 06:00 to 15:00, Sunday closed. 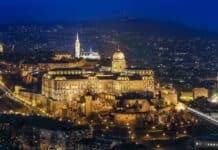 Finally, for dinner in Budapest, do not hesitate to consult our article, ‘Our selection of restaurants in Budapest’. If you wish to enrich your ‘visit Budapest in 2 days’ itinerary, you can consult our recommendations to visit Budapest in 3 days or 4 days!